Police Officer Bruce St. Laurent was killed when his police motorcycle was struck by a pickup truck on the I-95 on-ramp, at 45th Street, at about 4:40 pm. Officer St. Laurent was assigned to the motorcade escorting President Barack Obama from a campaign event in Palm Beach County. He was struck as he was preparing to close access to the highway from the on-ramp as the presidential motorcade neared. The impact pushed him and the motorcycle into a guardrail. He was transported to St. Mary’s Medical Center where he succumbed to his injuries. 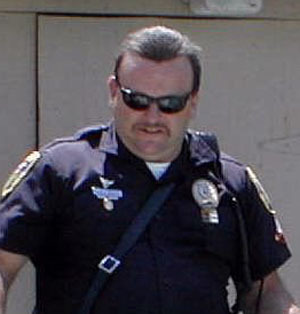 Officer St. Laurent had served with the Jupiter Police Department for 20 years. He is survived by his wife and four children.